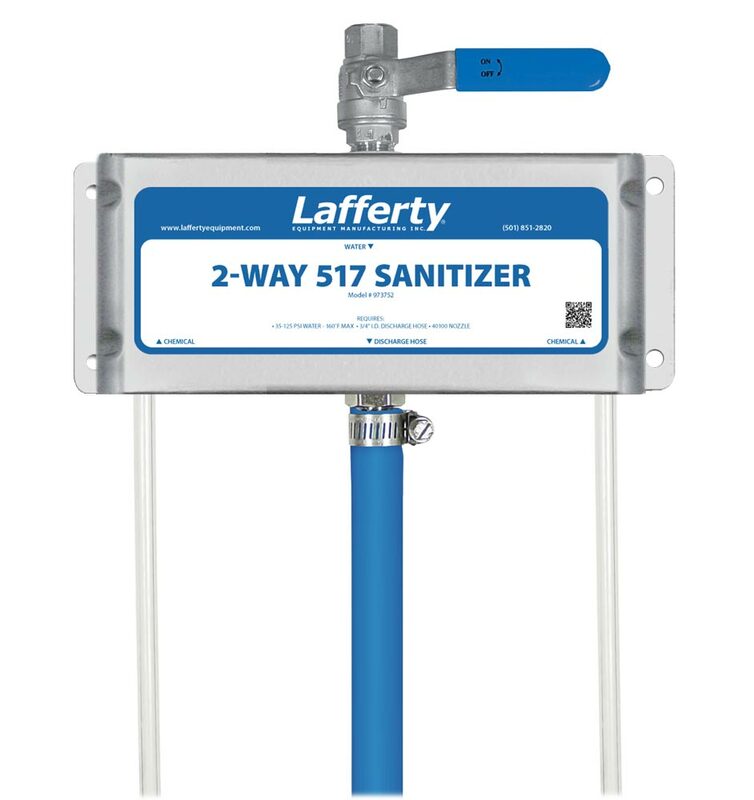 2-Way 517 Sanitizer | Lafferty Equipment Manufacturing, Inc. The 2-Way 517 Sanitizer is a high volume spray applicator for projecting 2 sanitizer solutions as a heavy spray on to any surface or equipment. With a high flow rate, this unit dilutes chemical concentrates to the lean ratios required for no-rinse sanitizing in food plants. This venturi injection system uses standard city water pressure (35 - 125 PSI) to draw and blend chemical concentrate into the water stream. Precision metering tips are used to create an accurately diluted solution which is projected through the discharge hose and fan nozzle as a 5.4 GPM heavy spray. Use the chemical ball valves to inject the 2 chemicals separately or simultaneously.